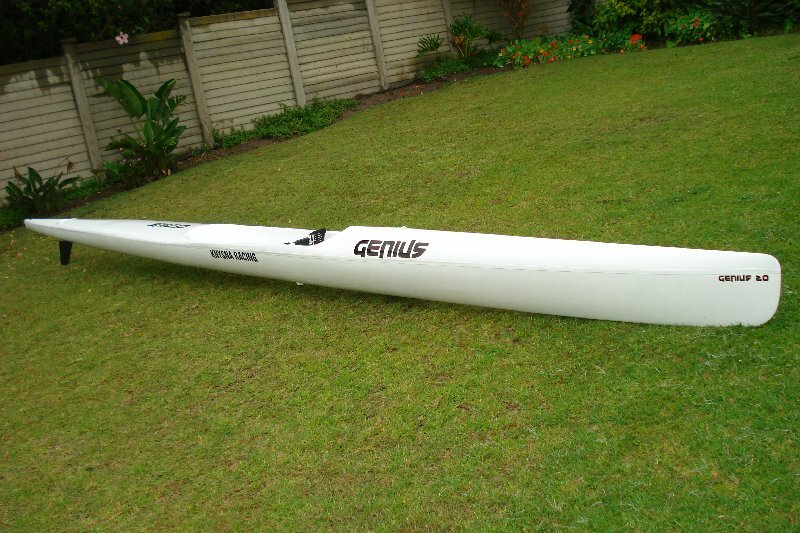 My buddy from Plett, Neal Stephenson has been working on a ski design. Neal is one of those ultimate WaterMen. It doesn’t matter what craft he is on, as long as he is in water he is incredible. When we were growing up he was one of the best BodyBoarders in the World. Now he paddles, both Rivers and Surf Ski. He has shaped a few wave ski’s (that he used to win World Titles) as well as shaping a few malibu boards. The past few Fish River Marathons, he has stayed with me, and I always know he will have his toolkit with him, and he is the best when it comes to neat repairs! He used his extensive sea knowledge, as well as his shaping experience, plus some cool IT design to shape the foamy. 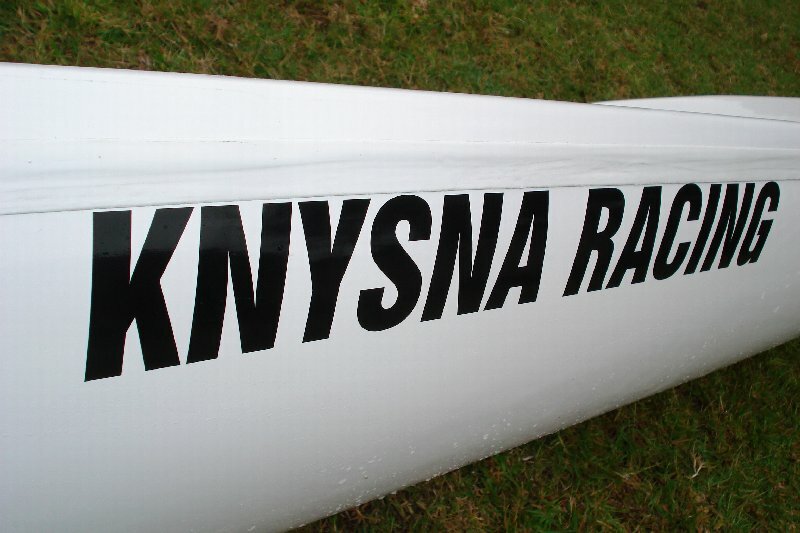 After glassing it, he tested it, and now Knysna Racing Kayaks have made a mold and will begin to manufacture it! Watch this space! He has made an awesome little boat! It is aimed at the slightly smaller person, not the over 100kg beast! It has been designed to be super fast in the runs. Most ski’s out there have been designed for tall, big people. Funny enough, not all the people who paddle are massive, and most people out there are paddling craft way too big for them. 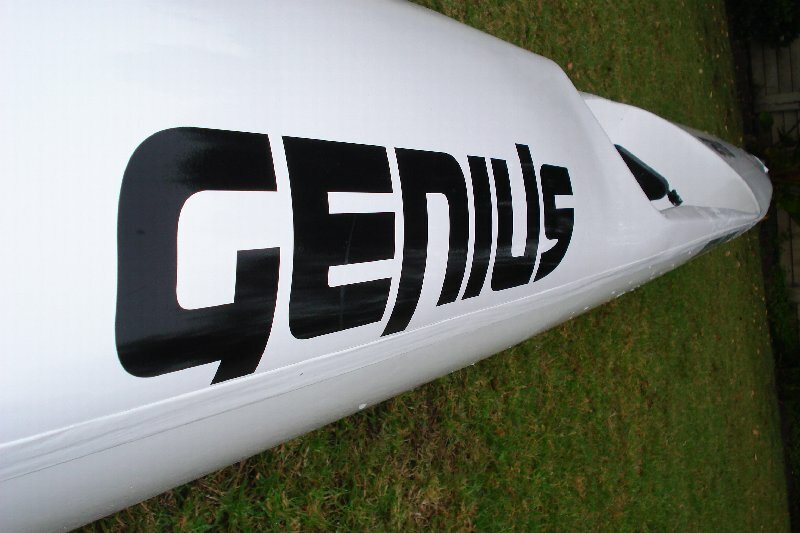 There are so many new ski’s on the market right now, but nothing like the Genius! I can’t wait to see what it can do! 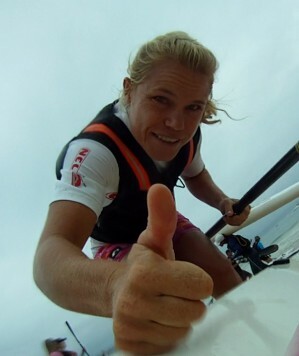 I tested it the other day, and found it to be fast, and thanks to its shorter length, it accelerates really nicely, making it an ideal choice for downwind conditions! looks like a nice ski, how much? I need to get some ski’s here.